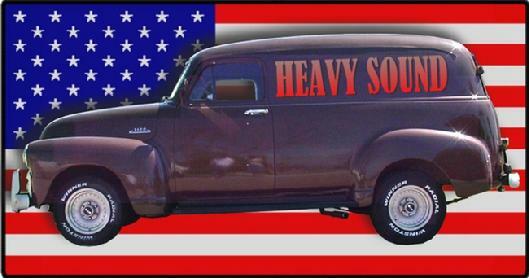 HEAVY SOUND COMPANY IS A FULL SERVICE SPEAKER REPAIR AND SOUND RENTAL COMPANY ESTABLISHED IN 1981 BY VIC STOLPE AND HAS BEEN PROUDLY SERVICING ALL OF SOUTHERN CALIFORNIA FOR ALMOST 30 YEARS IN THE SAME LOCATION !!!! rental company doing hotels, street fairs, conventions, and car shows. received training in JBL, EV, Gauss, and Cerwin Vega in 1983. I then added speaker repair to Heavy Sound Co. in around 1993.
more efforts in all aspects of speaker reconing and repair. vintage OEM and repro parts and over 500 voice coil numbers in stock. service, rapid turnaround, and good ol' fashioned American craftsmanship. I'm familiar with pretty much all aspects of sound reproduction. We also service sound systems for clubs, bars, schools, and churches. or need installation and/or upgrading, please contact us with your needs. We offer pickup and delivery to you local hardworkin' repair shops. us for details. For everyone else, Drop off or Shipping is avalible.